It’s November 6th and Verizon’s major launch of the Droid, which we reviewed earlier this week, is finally on sale! Although it might not be a well-kept secret, the HTC ERIS is also available in stores today. It’s quite similar to the Sprint HTC Hero, which we also reviewed a week ago. It runs on the Android OS, unfortunately not v2.0 like the Droid, but is available for a more affordable price of $99. That’s after a $100 rebate and a new 2-year contract, of course. For some quick specs, it’s got a 5 megapixel camera, an included 8GB microSD card, WiFi, 3.5mm headphone jack, GPS, and a Browser with Flash support. 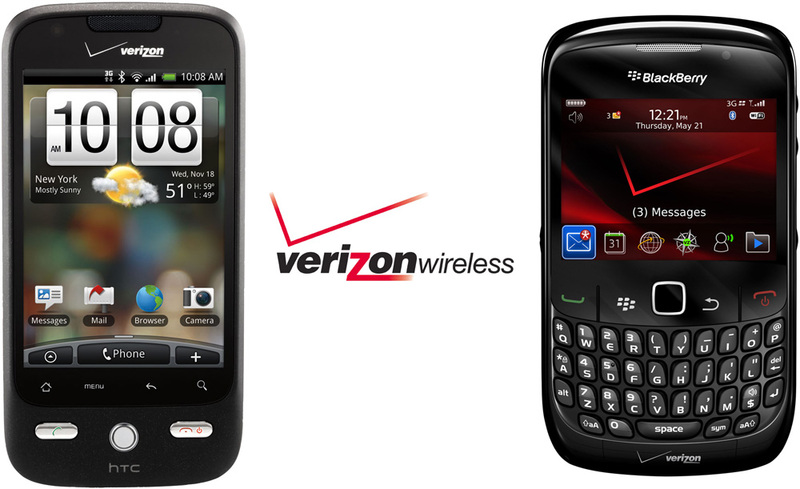 On another note, Verizon Wireless also announced the RIM BlackBerry Curve 8530. Unlike the clickable touch-screen the Storm2 features (see our review), it has traditional form factor with a physical QWERTY keyboard. Unlike older BlackBerry phones, this one does away with the trackball, replacing it with a touch-sensitive trackpad. And for some quick specs for this phone, it’s packed with WiFi, 3G, GPS, 2 megapixel camera, and mainly a lot of business/enterprise features. The Curve 9530 will be available on November 20th for $99 after a $100 rebate and signing a 2-year contract. We will be getting a hold of both of these phones in the coming days and will be publishing full reviews shortly after. In the meantime, to be the first to read our reviews, subscribe to our RSS Feed, sign up for Email Subscriptions, or find us on Facebook or Twitter!